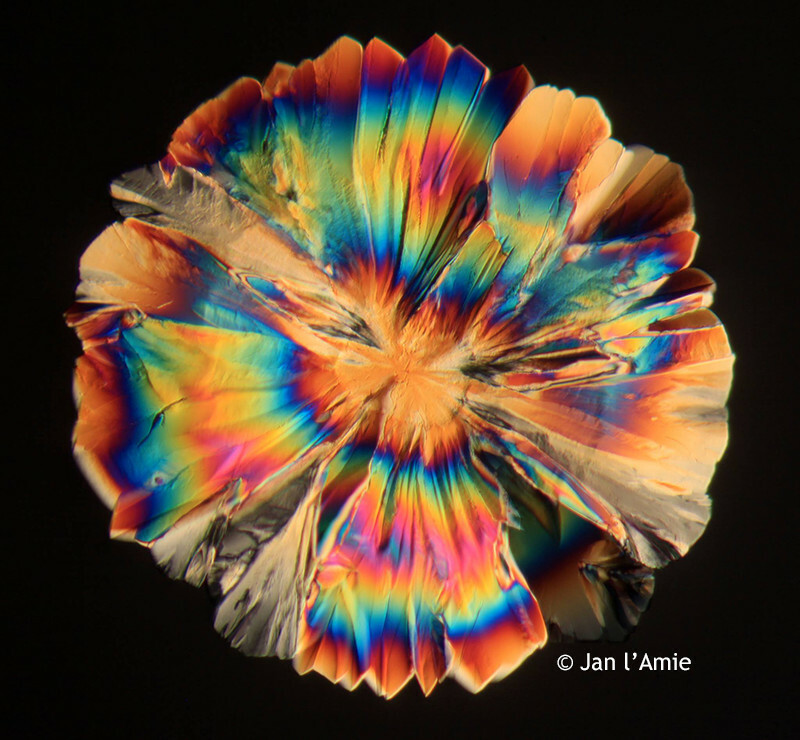 The image below of Citric Acid was captured by Jan l'Amie in the Netherlands. Jan used the BYO-500T microscope, which is a University level trinocular Siedentopf microscope. He captured the image using a PL 10x objective lens with a polarizing filter. The Canon EOS 50D DSLR camera was connected to the microscope with a photo tube fitted with a 2.5x photo eyepiece. Citric acid is a natural preservative that is present in citrus fruits. Citric acid is also used to add an acidic or sour taste to food or drink. Citric acid is known as a commodity chemical, as more than a million tons are produced every year by fermentation. Thank you to Jan for sharing this amazing image with Microscope World. If you have any images you would like to share, please contact us.